The manufacturing market is moving fast and manufacturers need the tools to go with it. The main tool manufacturers have utilized over the years has consistently been Material Requirements Planning (MRP). In this second part of our Manufacturing Tools series, (read Part 1 on Bill of Materials/Routing and Part 3 on Production Management) we’ll look at how Acumatica’s Material Requirements Planning Software can help businesses improve productivity and efficiency in manufacturing. What is Materials Requirements Planning (MRP) Software? MRP, or Material Requirements Planning, is a computerized system used for production, scheduling, and inventory. It calculates the materials and components needed to manufacture a product. MRP consists of three primary steps: taking inventory of the materials and components on hand, identifying which additional ones are needed and then scheduling their production or purchase. MRP software was developed to improve productivity and increase production efficiency for manufacturers. They do this by using bill of materials (BOM), inventory data and production schedules to make sure manufacturing could meet demand effectively. 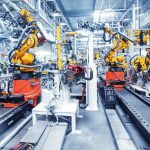 As manufacturing has modernized and businesses have scaled, so too have the manufacturing software solutions. In fact, ERP developed as an extension of MRP. 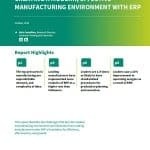 After its inception, Manufacturing Requirements Planning (MRP) was broadened to include other resources in the company (like financials), and so it evolved to become Manufacturing Resource Planning (MRP II). In the 90s, the analyst firm Gartner coined the term Enterprise Resource Planning (ERP) to denote a still more expanded and generalized type of MRP II. Today, MRP is an essential component of ERP software used by manufacturers. What can MRP Software Do for My Business? For all companies, MRP has a few goals in common. These include making sure that the inventory level is at a minimum but high enough to provide for customer demand, and that you plan all of the activities, including delivery, purchasing, and manufacturing. This more accurate scheduling improves your company’s productivity by decreasing the necessary lead time, giving your customers a higher quality of production and service. Overall, with an effective MRP module, your company is more competitive in the marketplace. Choosing an MRP suite with end-to-end manufacturing functionality gives your business the advantage it needs. More modules mean that software can grow with you and adapt to your changing needs, but also provides functionality for your entire organization. With software like Acumatica’s MRP module, you can satisfy customer requirements while maintaining optimal inventory levels. The software allows you to generate time-phased manufacturing and purchasing plans for optimal inventory availability tied to forecast and customer demands. Acumatica MRP allows you to reduce inventory while improving customer service and avoiding shortages. Think Acumatica’s Manufacturing Management Software could be a game-changer for your business? Find out more here.